Stir honey, vanilla and orange juice into the dripped yogurt. Use enough orange juice to think the yogurt just a little and give it an orange taste. Place the yogurt into a small ceramic or glass container, cover and freeze for a few hours. Stir at least once during the freezing process. 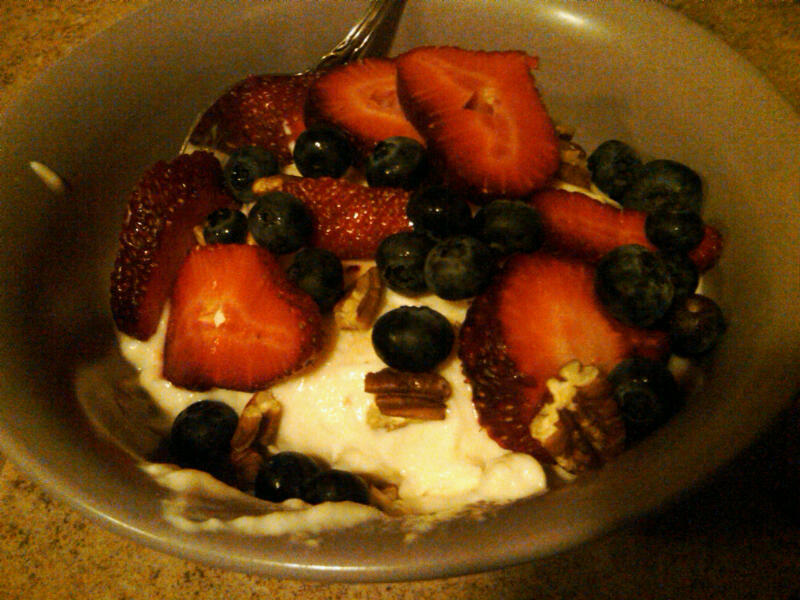 Top with fruit and nuts if desired. Note – this also tastes pretty good without freezing if you just want some flavored yogurt.